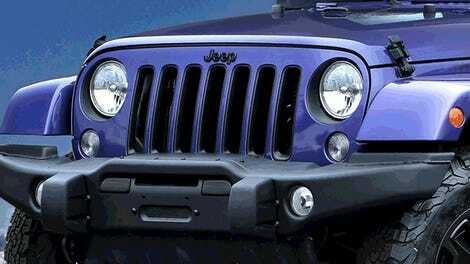 2016 has been dominated by speculation over two things: the presidential election and what the 2018 Jeep Wrangler will look like. At least, it is if you go by your Facebook feed. And not only are we about to wrap up the voting thing, we also just got this batch of renders, the prettiest and most insightful guess at the next Wrangler design we’ve seen so far so far. 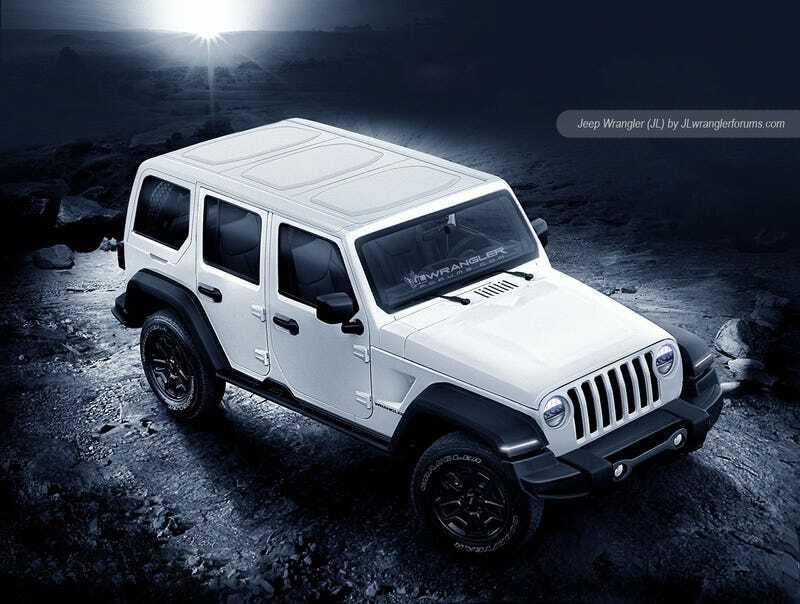 The JLJeepWrangler forums, which has done a great job setting itself up as ground-zero for rumors and reported sightings of the the 2018 (“JL” chassis code) Jeep Wrangler, has drawn up some illustrations of a few configurations they think we’ll see in the next Jeep. The major design keys here are a sleeker grille and windshield, a pickup bed, and an interesting take on the psuedo-convertible dismantling roof a la the Jeep Renegade’s “MySky” option. These renders also feature the Renegade-style taillights, a healthy hood bulge and the headlights eating into the grille slats a little bit. The forum lists the evidence used to draw these Wranglers the way it did, citing a combination of the spy pictures we’ve seen and tips from alleged inside sources. 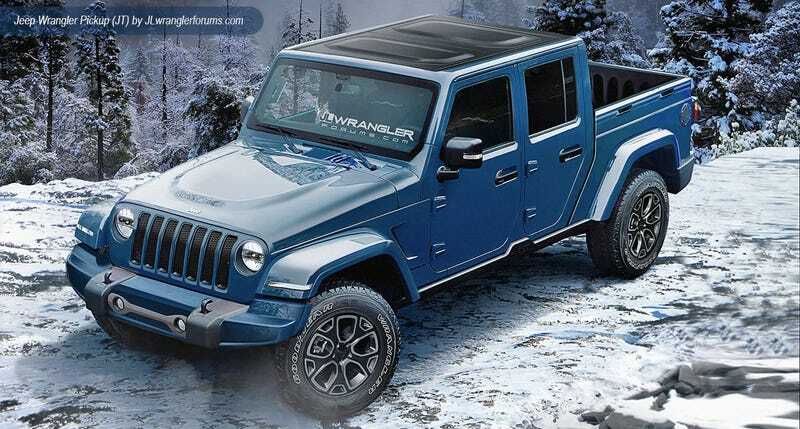 We already know the next Wrangler will be more of an evolutionary design than a radical departure from what we know and love about the little SUV already. I think I agree with JL Forum’s speculation here on the Wrangler’s general proportions, including the length of the pickup bed and front-end slants. Not sure I believe we’ll get these BMW M4-style fender vents, though. At this point the biggest gap in real knowledge about the new Wrangler is around the roof. We’ve heard talk of panorama-style glass pieces, power-folding pieces, and others have said to expect these large removable chunks like what’s showcased in these images. I would be sad to see the ragtop go, but knowing the removable windshield has already been struck from the standard features list I guess I’m going to have to stick with an old Jeep to satisfy my yearning for wind. So how close are these drawings to what you had in mind? See anything that’s missing or needs to come off this thing before you spend (probably) $28,000 to $45,000 on one?